Gonna step on some toes, some sacred cows and maybe a few egos. Here goes…Why do we do what we do in Church? Is there significance in the standard things we do in church on Sundays? Do we continue various things in our services because that’s how we’ve always done them and that’s just how church is done? the bulletin…is it necessary to print one every Sunday or do we just like to have a check off list to go by? Is it because we like order? Is there something sacred about that piece of paper that we glance at and then collect and toss in the trash after the service? the sermon…is there an altar call at the end? A call for repentance? A challenge for the week to consider and chew on? Does it necessarily have to be at the end of the service and right before lunch? four praise songs and only four…with tongue firmly place in my cheek, is four the magic number when it comes to praise songs? Or is it just the knowledge that this is the maximum songs any number of generations represented in the congregation can stand? When it comes to the song selections do we intentionally theme the music to coincide with the message or are they just thrown together because we like the songs? Teachings… do we intentionally share scripture and testimonies with the edification of God and the encouragement of the ecclesia in mind? Teachings aren’t necessarily reserved for the sermon time. These can be present in worship song sets, traditional congregational songs, and scripture readings, dramatic performances, prayer/testimony times. Is there intentionality with these moments of teaching? Collection of Money (Offerings)…scripturally the collection box was located in the back of the temple, why do we bring it into the forefront of our worship? Don’t get me wrong, if done correctly it can be another teaching moment, but is there a perception (even wrongly so) that all the church is interested in is our money? Do we teach that our tithes are a spiritual act of worship? That what we are doing is declaring that we place everything even our finances in the hands of God? Money can be a sensitive subject in church and to church members…yet do we instruct our members of not its value but its subjugation to the Creator and sustainer of all things? Churchy Lingo…things like “washed in the blood”, “we’re bible believers”, “CSM”, “DC” “Corps”, even words like “worship”, “testimony” (I know I used it already), “Give God Glory”…and many more of these types of churchy lingo can be confusing to first time visitors. That doesn’t mean that we ought to “dumb it down” (not to be offensive here) or even to talk down to visitors…but what does an outsider see when they come to your church for the first time and hear this foreign lingo? Sometimes we might as well be talking a foreign language. Traditions are important in that we know where we have come, but don’t mistake tradition for heritage. By that I mean, one holds us back (Tradition), keeps us looking back to the “glory days” and doesn’t consider where we ought to be going (Mission/Vision/Goals). Whereas heritage says, we have a richness of saints who have paved the way for us…we owe it to them to keep our mission and vision clear and set our sights on what is ahead rather than what we have already accomplished. In your church why do you do the things that you do? Is there significance or are you simply going through the motions? 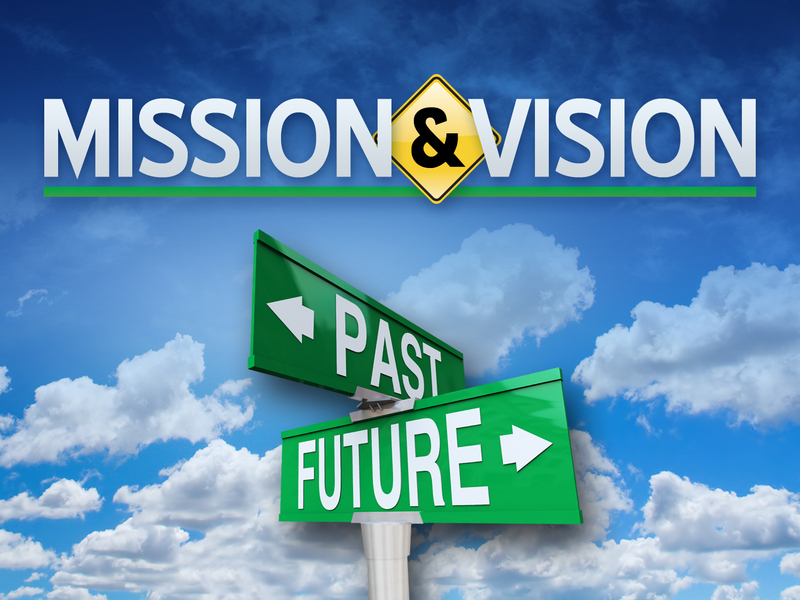 When a church has lost its significance, its mission and vision and has instead is simply plodding along through the motions watch out! A church without mission is a church on the brink of dying away. My hope and prayer is that each and every church evaluates its mission and vision so that though denomination may guide them in the large spectrum and doctrine the local church knows where it’s going, how it’s going to get there and why they meet as a body to worship together. Coming tomorrow: tools to help restart your church and reinvigorate its mission and vision. tune in tomorrow as we continue this dialogue. Previous Post Previous post:True Heroes ARE Real! That is very true! Great point as well! I definitely agree about the sermon thing. It’s bugged me for a long time. Why do we always speak in 35-45 minute segments? Especially considering the average attention span of listeners? I get that sometimes we have messages to share, but really? Every week? It seems more formulaic than purposeful. Agreed! Sometimes I ask myself the same question and I have to check my ego at the door…because when I preach I know there are times I’ve seen that I’ve lost people’s attention…it’s not about me, or any other pastor…it’s about God’s message. It’s bugged me too for a while.